To make a mountain out of a molehill means to exaggerate or put too much focus on a minor issue and make it seem like a major one. Today, we’re going to flip this famous idiom on its head and show you how it’s actually a positive thing and how you can use it as a wealth principle to turn a molehill investment into a mountain of money. If you feel like you only have a molehill of money right now, you don’t have very much, it’s very little in terms of a cash pile that you have, grandma’s strategy can still help you turn it into a mountain. No matter how small that molehill feels, using grandma strategy can help you grow it and turn it into a mountain that makes an impact that lasts for generations. The only requirement is that you cannot make a mountain out of a molehill when it comes to excuses not to get started. Whatever level of wealth you have right now. What if you could leave more than you could ever save for your future generations? If you feel like you only have a molehill of money right now, Grandma’s strategy can still help you turn it into a mountain no matter how small it feels. Brandon: Hey, I'm Brandon and welcome to Grandma's Wealth Wisdom where we help you build wealth grandma would be proud of. Amanda: And I'm Amanda. We've titled today's episode "Making a Mountain Out of a Molehill". Now the way grandma used this phrase It was about talking about taking a small problem and making it into a big deal. Amanda: Well, I think lots of people do that all the time, but it's not what you're supposed to do, and she'd remind us very sternly, "Don't make a mountain out of a molehill." Now we're changing it up today, we're actually flipping the script, we're flipping in the saying on its head. We actually want to talk about this as a positive thing. We're going to talk about taking a small amount of money and making it into a mountain of impact, a really big impact. Brandon: That's something we definitely want to do, take that small amount of money and actually make it into more. I think that's a good thing. Amanda: Yeah. So today in terms of that we're going to be talking about legacy. Whatever small amount of wealth that you have, what if you could leave more than you could ever save and leave a legacy for your kids, your grandkids and your favorite charities. What if you could be like of the Rockefellers and have a financial legacy that last generations and extends to your entire family line, while also giving huge amounts to charity. Guess what? You can, that's what we're going to be talking about today. Brandon: So there's actually a book all about this concept called funny enough, What Would the Rockefellers Do. Brandon: Yeah, that is actually what it's titled. Really, really great book, I highly recommend it. So if you want to be like the Rockefellers, which I think a lot of people would, check out the book. Amanda: Or just listen to our podcast, or both. Brandon: Yeah, there you go. For today let's take a look at two very different family stories. First we have your typical baby boomer couple. Now the husband used to have life insurance, but the term expired and the new policy was way too expensive to keep it going, so he finished it. Or maybe the husband was lucky enough to have chosen whole life insurance, but he cashed out the whole life or forgot to keep paying the premium. I mean I know some people that have done that. Then whenever the husband gets his wings, the wife, whenever he retires upstairs, hopefully, the wife is left with nothing except a little social security benefit of $550, not that much. So the wife needs to be taken care of by their children, and that puts a strain on their own finances, and they're also taking care of their grandkids at the same time, or the grandma's grandkids. And this story is very common in the boomer generation. Actually this story is our story. Amanda: Kind of, yeah. My parents cashed out their life insurance in 1985, Jessi, my brother graduated from boot camp and they never got life insurance again after that. Now I'm not old enough to remember when this happened, but I heard the story of this over and over again, and I heard it because I had an Alf doll. Now if you don't remember Alf, in case you forgot about that TV show back in the 80's, Alf was an alien with this weird looking face, a really long nose and he ate cats and he lived with the Tanner family. Hopefully that refreshes your memory. My dad had put this Alf doll that I had in the window of our vehicle on the way to my brother's graduation from boot camp. My dad said that as the people were passing us on the interstate, they kept looking at Alf with these big eyes and with their mouths open wondering what that was, some strange looking kid or I weird dog or who knows what this was in the window and he loved to tell that story over and over and over again. Brandon: I mean he told me that story before he passed away. Amanda: Yeah, he probably told you multiple times. Amanda: So and it's funny as that story is, it wasn't very fun years and years later when my dad passed away and all my mom got was that one-time payment of $550 from social security. Brandon: Luckily your mom had us to take care of her, her favorite son-in-law, and I do remind her of that that I am her favorite son in law because she is being taken care of by us. And the reality is sometimes I wish I knew ten years ago what I knew now, so I could go back and share with my father-in-law these things so that way he would have helped us and helped her as well in the process. Amanda: Especially helped her, right? Amanda: So that's the first couple. Next let's look at a typical couple in the greatest generation. We're going to call them grandma and grandpa. Grandpa and grandma bought whole life insurance and they used it as a savings vehicle for their family. They faithfully paid the premiums until they retired, but then even after they stopped paying the premiums they still had coverage. They worked that out. Brandon: Throughout their lives this insurance policy provided many benefits, but the number one benefit was the financial peace of mind to live their lives as they wanted to, and to give freely to their family and favorite causes. Amanda: Yeah. And so when Grandpa got his wings, grandma got a huge check. Much more than they could have ever saved on their own. Brandon: And much more than that social security death thing. Amanda: Right. Way more than $550. In fact, this check covered her expenses for the rest of her life. What's more, they had started a whole life insurance policy on grandma many years ago too. So when she got her wings there was enough to cover her final expenses and leave something for the kids, the grandkids, and the charities that grandma and grandpa had supported throughout their lives. Brandon: So why did grandpa and grandma do this? Here's a few reasons. Number one, they wanted to make sure final expenses were covered and their kids, grandkids and their favorite charities got a little something too, so they wanted to make sure that not just the death was drain on their family, but it was also a help in some aspects to their family. Amanda: Yeah. And the number two reason that grandma and grandpa did this is that they knew the money and their whole life policy was safe. Their gains would get locked in and they wouldn't have to worry about stock market crashes. Plus, if they needed any money for any reason, if they needed the money they put into their policy for any reason, they could access it without having to go through a credit check or anything like that. Brandon: Number three, whole life insurance has multiple layered, a multi-layered safety net. Remember, grandpa and grandma grew up during the Great Depression. It's one of the least safest eras in American history when it comes to financials, next to, as well, the great recession that we experienced just ten years ago. But they were financially stress-free because they knew the safety net had them protected. Amanda:	So, which of these two couples would you like to be? The boomer couple or the greatest generation couple? Brandon: I'll go with the greatest generation couple. Amanda: Yeah. But if you're asking yourself this, you know, which would you rather be, it could be hard to think about your life many, many years from now when you're grandma and grandpa's age or, you know, that sort of thing. But for today let's at least try. Whatever your goal's in life, let's pretend for a moment that you reach the pinnacle, you reach those goals, you created a sustainable passive income that is coming in a month after month, even though you're not working for it. Or let's say you saved a huge sum of money and you're able to retire at whatever age it is, maybe it's early, maybe it's later, whatever age you're able to just retire, live off that huge sum of money that you saved up. Now if up to this point you reach your pinnacle you haven't asked yourself some pretty serious questions, it's time to ask yourself some very important questions. So we actually have six of them today. So as we go through these you can write them down or you can just check out the show notes at GrandmasWealthWisdom.com to see what these six are and make sure you're asking these of yourself. Amanda: So here we go, question number one, who's helping you implement your exit strategy? You've reached the pinnacle, you've saved up that much, who's going to help you from that point forward? Is same person around who helped you plan for retirement, to help you execute that plan when you're ready to do it? Brandon: And the exit strategy again is, you know, from retirement going past that thing, so past graduating, getting your wings. So there's a not so fun fact about Mount Everest. Did you know the majority of people who die on Mount Everest die actually coming down the mountain, not going up the mountain? So here's the fact about retirement. You pile up a bunch of money and then retire, and as you spend the money in retirement you are going to eventually die. That's going to happen. And hopefully the plan is that you die before you run out of money, but oftentimes that doesn't happen. They come down the mountain of retirement and that's where things fall apart. and actually use it to buy groceries or pay for medical expenses or whatever you need that money for. And so no one is typically there for people to help them execute the plan that they've put together from that point forward. Brandon: Yes, that's really sad. Amanda: Yup. So that's question number one, who's helping you implement your exit strategy. Brandon: Question number two is what happens if you're not of sound mind to manage your own affairs? So do you have a plan that's foolproof or something someone has to constantly monitor? Do you have one that is easy or something that is more difficult to figure out. And if you aren't able to constantly monitor it, is someone in your family knowledgeable enough to handle it for you, and do you want them to? Amanda: That's a good "and" to add on there. Question number three, how much you will go to taxes? If Congress raises taxes and the Internal Revenue Service gets more of your income, will you still have enough to cover your needs? Brandon: And we talked about taxes in the last episode, so if you want to learn more about taxes and how much the Internal Revenue Service takes from your retirement, go back and listen to that episode. Question number four is how much will you need for medical expenses? So the cost of health care has increased drastically. Will your retirement income be enough to cover everything? So just a little side note, for the 65 year old retiring today, the average cost of medical expenses will be about $250,000, $250,000 for that 65 year old right now. That's above and beyond what's taken care of by Medicare, and that's not including your retirement needs and all of that, that's just $250,000 for medical expenses. Amanda: Yeah. The question number five, will there be anything left to settle your affairs? After you get your wings, there will still be expenses to cover. Is there going to be enough left over after covering all of your expenses while you're alive? Now you're not going to have to deal with this problem, but those you care about well. Brandon: Your significant other will have to. Amanda: Or your kids, or your grandkids, your brother, your sister, your aunt, your uncle, whoever it is, someone you care about is going to have to deal with that. Brandon: And probably the most important question. Brandon: Yes, the most important question that you want to be asking is do you actually want to leave a legacy to your kids, grandkids or a charity like that, do you actually want to leave something to them? Amanda: Now, if you're 26 years old or 36 years old or maybe even 46 years old, you're probably bored by these questions that we are asking today. Chances are you, don't really like to think about when you're 60, 70, 80, 90 years old. But if you're like most people our age, this idea of making an impact on the world is a question you can get excited about. You're already making a difference right now in the world by how you live your life. Maybe reducing your oil consumption or minimizing your possessions or spending time helping your favorite people and causes or whatever it is that you do to try to make a positive impact. What if you set up a situation in which you could continue those activities or maybe even do even more of those activities in your later years, and continue to make an impact long after you get your wings. That can be pretty exciting, even if you're only 26 to make sure you're able to have that impact over the long term. Brandon: Help you at the same time be off that paycheck to paycheck cycle that we were talking about too. Brandon: That was an episode, I don't know, four or something. So where you put your money, it makes it do different things. You'll hear us say that over and over again. Where you put your money, it makes it do different things. If like grandma you want to be financially stress-free with a multi-layered safety net, you need to use the same tool grandma used, with of course modernizations. If like grandma you want to leave a lasting impact for generations of your family and throughout the work of your favorite charities, grandma's strategy can help you do that and to reach your current goals too. Amanda: Let me say this before we close today. If you feel like you only have a molehill of money right now, you don't have very much, it's very little in terms of a cash pile that you have, grandma's strategy can still help you turn it into a mountain. 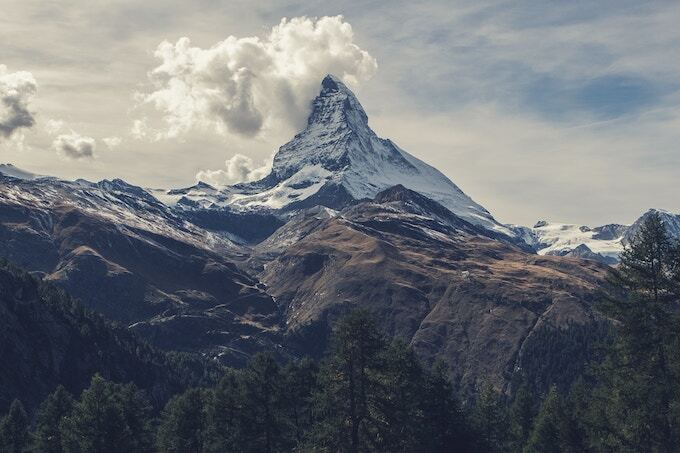 No matter how small that molehill feels, using grandma strategy can help you grow it and turn it into a mountain that makes an impact that lasts for generations. The only requirement is that you cannot make a mountain out of a molehill when it comes to excuses not to get started. The more you pile on those excuses not to turn your molehill of cash into a mountain, the more likely that your molehill will stay a molehill. Brandon: And we've experienced this ourselves. Not just, well some may be the excuses side, but more on the creating the, building the money in the pile, a few years ago we were struggling and didn't even have much money to do the things we wanted to do. Today we're seeing our molehill turn into a huge mountain right before our eyes. Amanda: Yup. So to recap today, let's take the analogy of a tree. If your legacy is like a tree that would give shade and fruit for generations, the words of a Chinese proverb should help you with getting started. The Chinese proverb says the best time to plant a tree was 20 years ago, the second best time is now. In other words, the best time to start planting your legacy is a right now. Brandon: So don't wait until you're 65 to start thinking about your legacy or your retirement or your future self. Don't wait until that time. The earlier you start thinking about your legacy, the better. If you'd like help asking questions like we've asked today about legacy, let's get started. So all you have to do is go to GrandmasWealthWisdom.com and click "request a meeting" right there. It's really simple. Amanda: Yup. So next week we're going to reveal the reason Brandon needed therapy but ended up firing his therapist. It's one of the main reasons we love grandma. Brandon: You're going to really talk about that story? I didn't know we were going to go there. Amanda: We're totally going there. Brandon: I don't want to share. I guess I'll have to share about my therapist issues. I have issues with therapists. Brandon: Until next time, keep building your wealth simply and sustainably for your own future and the future of our grandchildren's generation.